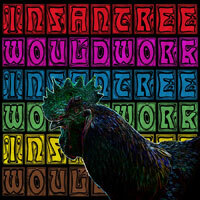 Infantree recently premiered their video for “Slaughter House”. You can check out the video here. Would Work, the band’s debut album released on Vapor Records was produced by longtime Neil Young collaborator Niko Bolas (Neil Young, KISS, The Circle Jerks) and was recorded at the legendary Sunset Sound in Hollywood. Thank you to everyone who has continued to support this great record!